"Vaishnav" redirects here. For the Olympic sailor from France, see Vaishnav (sailor). Krishna showing his vishvarupa universal form to Arjuna before the Kurukshetra War. Vaishnavism is one of the major traditions within Hinduism along with Shaivism, Shaktism, and Smarthism. It is also called Vishnuism, its followers are called Vaishnavas, and it considers Vishnu as the Supreme Lord. The tradition is notable for its avatar doctrine, wherein Krishna is revered in one of many distinct incarnations. Of these, ten avatars of Vishnu are the most studied. Rama, Krishna, Narayana, Kalki, Hari, Vithoba, Kesava, Madhava, Govinda, Sri Nathji and Jagannath are among the popular names used for the same supreme being. The tradition has traceable roots to the 1st millennium BCE, as Bhagavatism, also called Krishnaism. Later developments led by Ramananda created a Rama-oriented movement, now the largest monastic group in Asia. The Vaishnava tradition has many sampradayas (denominations, sub-schools) ranging from the medieval era Dvaita school of Madhvacharya to Vishishtadvaita school of Ramanuja. The tradition is known for the loving devotion to an avatar of Vishnu (often Krishna), and it has been key to the spread of the Bhakti movement in South Asia in the 2nd millennium CE. Key texts in Vaishnavism include the Vedas, the Upanishads, the Bhagavad Gita, the Pancaratra (Agama) texts and the Bhagavata Purana. The inscription of the Heliodorus pillar that was made by Indo-Greek envoy Heliodorus in 110 BCE, in what is modern Vidisha (Madhya Pradesh). The inscription states Heliodorus is a Bhagavata. Although Vishnu was a Vedic solar deity, he is mentioned more often compared to Agni, Indra, and other Vedic deities, thereby suggesting that he had a major position in the Vedic religion. Other scholars state that there are other Vedic deities, such as water deity Nara (also mentioned as Narayana-Purusha in the Brahmanas layer of the Vedas), who together form the historical roots of Vaishnavism. In the late-Vedic texts (~1000 to 500 BCE), the concept of a metaphysical Brahman grows in prominence, and the Vaishnavism tradition considered Vishnu to be identical to Brahman, just like Shaivism and Shaktism consider Shiva and Devi to be Brahman respectively. The ancient emergence of Vaishnavism is unclear, the evidence inconsistent and scanty. According to Dalal, the origins may be in Vedic deity Bhaga, who gave rise to Bhagavatism. According to Preciado-Solís, the Vedic deities Nara and Narayana form one of the Vedic roots of Vaishnavism. According to Dandekar, Vaishnavism may have emerged from merger of several ancient theistic traditions, where the various deities were integrated as different avatars of the same god. In Dandekar theory, Vaishnavism emerged at the end of the Vedic period, closely before the second urbanisation of northern India, in the 7th to 4th century BCE. Vasudeva and Krishna, "the deified tribal hero and religious leader of the Yadavas," gained prominence, merged into Bhagavan Vasudeva-Krishna, due to the close relation between the Vrsnis and the Yadavas. This was followed by a merger with the cult of Gopala-Krishna of the cowherd community of the Abhıras at the 4th century CE. The character of Gopala Krishna is often considered to be non-Vedic. According to Dandekar, such mergers consolidated the position of Krishnaism between the heterodox sramana movement and the orthodox Vedic religion. The "Greater Krsnaism", states Dandekar, then merged with the Rigvedic Vishnu. Syncretism of various traditions and Vedism resulted in Vaishnavism. At this stage that Vishnu of the Rig Veda was assimilated into non-Vedic Krishnaism and became the equivalent of the Supreme God. The appearance of Krishna as one of the Avatars of Vishnu dates to the period of the Sanskrit epics in the early centuries CE. The Bhagavad Gita was incorporated into the Mahabharata as a key text for Krishnaism. Finally, the Narayana-cult was also included, which further brahmanized Vaishnavism. The Nara-Narayana cult may have originated in Badari, a northern ridge of the Hindu Kush, and absorbed into the Vedic orthodoxy as Purusa Narayana. Purusa Narayana may have later been turned into Arjuna and Krsna. This complex history is reflected in the two main historical denominations of Vishnavism. The Bhagavats, worship Vasudeva-Krsna, and are followers of brahmanic Vaishnavism, while the Pacaratrins regard Narayana as their founder, and are followers of Tantric Vaishnavism. According to Hardy,[note 2] there is evidence of early "southern Krishnaism," despite the tendency to allocate the Krishna-traditions to the Northern traditions. South Indian texts show close parallel with the Sanskrit traditions of Krishna and his gopi companions, so ubiquitous in later North Indian text and imagery. Early writings in Dravidian culture such as Manimekalai and the Cilappatikaram present Krishna, his brother, and favourite female companions in the similar terms. Hardy argues that the Sanskrit Bhagavata Purana is essentially a Sanskrit "translation" of the bhakti of the Tamil alvars. Devotion to southern Indian Mal (Tirumal) may be an early form of Krishnaism, since Mal appears as a divine figure, largely like Krishna with some elements of Vishnu. The Alvars, whose name can be translated "sages" or "saints", were devotees of Mal. Their poems show a pronounced orientation to the Vaishnava, and often Krishna, side of Mal. But they do not make the distinction between Krishna and Vishnu on the basis of the concept of the Avatars. Yet, according to Hardy the term "Mayonism" should be used instead of "Krishnaism" when referring to Mal or Mayon. Most of the Gupta kings, beginning with Chandragupta II (Vikramaditya) (375-413 CE) were known as Parama Bhagavatas or Bhagavata Vaishnavas. After the Gupta age, Krishnaism rose to a major current of Vaishnavism, and Vaishnavism developed into various sects and subsects, most of them emphasizing bhakti, which was strongly influenced by south Indian religiosity. Vaishnavism in the 8th century came into contact with the Advaita doctrine of Adi Shankara. Many of the early Vaishnava scholars such as Nathamuni, Yamunacharya and Ramanuja, contested the Advaita Vedanta doctrines and proposed Vishnu bhakti ideas instead. Vaishnavism flourished in predominantly Shaivite South India during the seventh to tenth centuries CE with the twelve Alvars, saints who spread the sect to the common people with their devotional hymns. The temples that the Alvars visited or founded are now known as Divya Desams. Their poems in praise of Vishnu and Krishna in Tamil language are collectively known as Naalayira Divya Prabandha(4000 divine verses). The Bhakti movement of late medieval Hinduism started in the 7th-century, but rapidly expanded after the 12th-century. It was supported by the Puranic literature such as the Bhagavata Purana, poetic works, as well as many scholarly bhasyas and samhitas. This period saw the growth of Vashnavism Sampradayas (denominations or communities) under the influence of scholars such as Ramanujacharya, Vedantha Desikacharya, Madhvacharya, Nimbarkacharya and Vallabhacharya. Bhakti poets or teachers such as Manavala Mamunigal, Namdev, Ramananda, Surdas, Tulsidas, Eknath, Tyagaraja, Chaitanya Mahaprabhu and many others influenced the expansion of Vaishnavism.Even Meera bai(princess of Mehwar and Rajasthan)took part in this specific movement. These Vaishnavism sampradaya founders challenged the then dominant Shankara's doctrines of Advaita Vedanta, particularly Ramanuja in the 12th century, Vedantha Desikacharya and Madhva in the 13th, building their theology on the devotional tradition of the Alvars (Shri Vaishnavas). In North and Eastern India, Krishnaism gave rise to various late Medieval movements: Nimbarka and Ramananda in the 14th century, Sankaradeva in the 15th and Vallabha and Chaitanya in the 16th century. Historically, it was Chaitanya Mahaprabhu who founded congregational chanting of holy names of Krishna in the early 16th century after becoming a sannyasi. During the 20th century, Vaishnavism has spread from India and is now practiced in many places around the globe, including North America, Europe, Africa, Russia and South America. This is largely due to the growth of the ISKCON movement, founded by A.C. Bhaktivedanta Swami Prabhupada in 1966. Vaishnavism is centered on the devotion of Vishnu and his avatars. According to Schweig, it is a "polymorphic monotheism, i.e. a theology that recognizes many forms (ananta rupa) of the one, single unitary divinity," since there are many forms of one original deity, with Vishnu taking many forms. Okita, in contrast, states that the different denominations within Vaishnavism are best described as theism, pantheism and panentheism. The Vaishnava sampradaya started by Madhvacharya is a monotheistic tradition wherein Vishnu (Krishna) is omnipotent, omniscient and omnibenevolent. In contrast, Sri Vaishnavism sampradaya associated with Ramanuja has monotheistic elements, but differs in several ways, such as goddess Lakshmi and god Vishnu are considered as inseparable equal divinities. According to some scholars, Sri Vaishnavism emphasizes panentheism, and not monotheism, with its theology of "transcendence and immanence", where God interpenetrates everything in the universe, and all of empirical reality is God's body. The Vaishnava sampradaya associated with Vallabhacharya is a form of pantheism, in contrast to the other Vaishnavism traditions. The Gaudiya Vaishnava tradition of Chaitanya, states Schweig, is closer to a polymorphic bi-monotheism because both goddess Radha and god Krishna are simultaneously supreme. Vaishnavism precepts include the avatar (incarnation) doctrine, wherein Vishnu incarnates numerous times, in different forms, to set things right and bring back the balance in the universe. These avatars include Narayana, Vasudeva, Rama and Krishna; each the name of a divine figure with attributed supremacy, which each associated tradition of Vaishnavism believes to be distinct. The term "Krishnaism" has been used to describe the sects focused on Krishna, while "Vishnuism" may be used for sects focusing on Vishnu in which Krishna is an Avatar, rather than a transcended Supreme Being. Vishnuism believes in Vishnu as the supreme being,(Krishnaism contradicts this, and claims that Krishna is the source of the Tridev and also an immediate expansion of Himself as Mahavishnu) manifested himself as Krishna, while Krishnaism accepts Krishna to be Svayam bhagavan or "authentic", that manifested himself as Vishnu. As such Krishnaism is believed to be one of the early attempts to make philosophical Hinduism appealing to the masses. In common language the term Krishnaism is not often used, as many prefer a wider term "Vaishnavism", which appeared to relate to Vishnu, more specifically as Vishnu-ism. In Vishnu-centered sects Vishnu or Narayana is the one supreme God. The belief in the supremacy of Vishnu is based upon the many avatars (incarnations) of Vishnu listed in the Puranic texts, which differs from other Hindu deities such as Ganesha, Surya or Durga. To the devotees of the Srivaishnava Sampradaya "Lord Vishnu is the Supreme Being and the foundation of all existence." Relationship between different forms of Krishna as paripurna avatara of Vishnu and as Svayam Bhagavan in Chaitanya school of Vaishnavism. In the Krishnaism branch of Vaishnavism, such as the Gaudiya Vaishnava, Nimbarka and Vallabhacharya traditions, devotees worship Krishna as the One Supreme form of God, and source of all avatars, Svayam Bhagavan. Krishnaism is often also called Bhagavatism, after the Bhagavata Purana which asserts that Krishna is "Bhagavan Himself," and subordinates to itself all other forms: Vishnu, Narayana, Purusha, Ishvara, Hari, Vasudeva, Janardana, etc. Krishna is often described as having the appearance of a dark-skinned person and is depicted as a young cowherd boy playing a flute or as a youthful prince giving philosophical direction and guidance, as in the Bhagavad Gita. Krishna is also worshiped across many other traditions of Hinduism, and Krishna and the stories associated with him appear across a broad spectrum of different Hindu philosophical and theological traditions, where it is believed that God appears to his devoted worshippers in many different forms, depending on their particular desires. These forms include the different avataras of Krishna described in traditional Vaishnava texts, but they are not limited to these. Indeed, it is said that the different expansions of the Svayam bhagavan are uncountable and they cannot be fully described in the finite scriptures of any one religious community. Many of the Hindu scriptures sometimes differ in details reflecting the concerns of a particular tradition, while some core features of the view on Krishna are shared by all. Radha Krishna is the combination of both the feminine as well as the masculine aspects of God. Krishna is often referred as svayam bhagavan in Gaudiya Vaishnavism theology and Radha is Krishna's supreme beloved. With Krishna, Radha is acknowledged as the Supreme Goddess, for it is said that she controls Krishna with Her love. It is believed that Krishna enchants the world, but Radha "enchants even Him. Therefore She is the supreme goddess of all. Radha Krishna". While there are much earlier references to the worship of this form of God, it is since Jayadeva Goswami wrote a famous poem Gita Govinda in the twelfth century CE, that the topic of the spiritual love affair between the divine Krishna and his devotee Radha, became a theme celebrated throughout India. It is believed that Krishna has left the "circle" of the rasa dance to search for Radha. The Chaitanya school believes that the name and identity of Radha are both revealed and concealed in the verse describing this incident in Bhagavata Purana. It is also believed that Radha is not just one cowherd maiden, but is the origin of all the gopis, or divine personalities that participate in the rasa dance. According to the Bhagavatas, there are ten avatars of Vishnu, including Rama and Krishna. In contrast, the Pancaratrins follow the vyuhas doctrine, which says that God has four manifestations (vyuhas), namely Vasudeva, Samkarsana, Pradyumna, and Aniruddha. These four manifestations represent "the Highest Self, the individual self, mind, and egoism." Whenever righteousness wanes and unrighteousness increases I send myself forth. I come into being age after age. In Vaishnava mythology, such as is presented in the Bhagavata Purana and the Pancaratra, whenever the cosmos is in crisis, typically because the evil has grown stronger and has thrown the cosmos out of its balance, an avatar of Vishnu appears in a material form, to destroy evil and its sources, and restore the cosmic balance between the everpresent forces of good and evil. The most known and celebrated avatars of Vishnu, within the Vaishnavism traditions of Hinduism, are Krishna, Rama, Narayana and Vasudeva. These names have extensive literature associated with them, each has its own characteristics, legends and associated arts. The Mahabharata, for example, includes Krishna, while the Ramayana includes Rama. Vaishnavism, just like all Hindu traditions, considers the Vedas as the scriptural authority. All traditions within Vaishnavism consider the Brahmanas, the Aranyakas and the Upanishads embedded within the four Vedas as Sruti, while Smritis, which include all the epics, the Puranas and its Samhitas, states Mariasusai Dhavamony, are considered as "exegetical or expository literature" of the Vedic texts. The Vedanta schools of Hindu philosophy, that interpreted the Upanishads and the Brahma Sutra, provided the philosophical foundations of Vaishnavism. Given the ancient archaic language of the Vedic texts, each school's interpretation varied, and this has been the source of differences between the sampradayas (denominations) of Vaishnavism. These interpretations have created different traditions within Vaishnavism, from dualistic (Dvaita) Vedanta of Madhvacharya, to nondualistic (Advaita) Vedanta of Madhusudana Sarasvati. That is why charity is the highest. Along with the reverence and exegetical analysis of the ancient Principal Upanishads, Vaishnava-inspired scholars authored 14 Vishnu avatar-focussed Upanishads that are called the Vaishnava Upanishads. These are considered part of 95 minor Upanishads in the Muktikā Upanishadic corpus of Hindu literature. The earliest among these were likely composed in 1st millennium BCE, while the last ones in the late medieval era. All of the Vaishnava Upanishads either directly reference and quote from the ancient Principal Upanishads or incorporate some ideas found in them; most cited texts include the Brihadaranyaka Upanishad, Chandogya Upanishad, Katha Upanishad, Isha Upanishad, Mundaka Upanishad, Taittiriya Upanishad and others. In some cases, they cite fragments from the Brahmana and Aranyaka layers of the Rigveda and the Yajurveda. The Vaishnava Upanishads present diverse ideas, ranging from bhakti-style theistic themes to a synthesis of Vaishnava ideas with Advaitic, Yoga, Shaiva and Shakti themes. The Bhagavad Gita is a central text in Vaishnavism, and especially in the context of Krishna. The Bhagavad Gita is an important scripture not only within Vaishnavism, but also to other traditions of Hinduism. It is one of three important texts of the Vedanta school of Hindu philosophy, and has been central to all Vaishnavism sampradayas. The Bhagavad Gita is a dialogue between Krishna and Arjuna, and presents Bhakti, Jnana and Karma yoga as alternate ways to spiritual liberation, with the choice left to the individual. The text discusses dharma, and its pursuit as duty without craving for fruits of one's actions, as a form of spiritual path to liberation. The text, state Clooney and Stewart, succinctly summarizes the foundations of Vaishnava theology that the entire universe exists within Vishnu, and all aspects of life and living is not only a divine order but divinity itself. Bhakti, in Bhagavad Gita, is an act of sharing, and a deeply personal awareness of spirituality within and without. The Bhagavad Gita is a summary of the classical Upanishads and Vedic philosophy, and closely associated with the Bhagavata and related traditions of Vaishnavism. The text has been commented upon and integrated into diverse Vaishnava denominations, such as by the medieval era Madhvacharya's Dvaita Vedanta school and Ramanuja's Vishishtadvaita Vedanta school, as well as 20th century Vaishnava movements such as the Hare Krishna movement by Swami Prabhupada. The Pancaratra Samhitas (literally, five nights) is a genre of texts where Vishnu is presented as Narayana and Vasudeva, and this genre of Vaishnava texts is also known as the Vaishnava Agamas. Its doctrines are found embedded in the stories within the Narayaniya section of the Mahabharata. Narayana is presented as the ultimate unchanging truth and reality (Brahman), who pervades the entirety of the universe and is asserted to be the preceptor of all religions. The Pancaratra texts present the Vyuhas theory of avatars to explain how the absolute reality (Brahman) manifests into material form of ever changing reality (Vishnu avatar). Vasudeva, state the Pancaratra texts, goes through a series of emanations, where new avatars of him appear. This theory of avatar formation syncretically integrates the theories of evolution of matter and life developed by the Samkhya school of Hindu philosophy. These texts also present cosmology, methods of worship, tantra, Yoga and principles behind the design and building of Vaishnava temples (Mandira nirmana). These texts have guided religiosity and temple ceremonies in many Vaishnava communities, particularly in South India. The Pancaratra Samhitas are tantric in emphasis, and at the foundation of tantric Vaishnava traditions such as the Sri Vaishnava tradition. They complement and compete with the vedic Vaishnava traditions such as the Bhagavata tradition, which emphasize the more ancient Vedic texts, ritual grammar and procedures. While the practices vary, the philosophy of Pancaratra is primarily derived from the Upanishads, its ideas synthesize Vedic concepts and incorporate Vedic teachings. The three most studied texts of this genre of Vaishnava religious texts are Paushkara Samhita, Sattvata Samhita and Jakakhya Samhita. The other important Pancaratra texts include the Lakshmi Tantra and Ahirbudhnya Samhita. Scholars place the start of this genre of texts to about the 7th or 8th century CE, and later. The two Indian epics, the Mahabharata and the Ramayana present Vaishnava philosophy and culture embedded in legends and dialogues. The epics are considered the fifth Veda, in Hindu culture. The Ramayana describes the story of Rama, an avatara of Vishnu, and is taken as a history of the 'ideal king', based on the principles of dharma, morality and ethics. Rama's wife Sita, his brother Lakshman, with his devotee and follower Hanuman all play key roles within the Vaishnava tradition as examples of Vaishnava etiquette and behaviour. Ravana, the evil king and villain of the epic, is presented as an epitome of adharma, playing the opposite role of how not to behave. The Mahabharata is centered around Krishna, presents him as the avatar of transcendental supreme being. The epic details the story of a war between good and evil, each side represented by two families of cousins with wealth and power, one depicted as driven by virtues and values while other by vice and deception, with Krishna playing pivotal role in the drama. The philosophical highlight of the work is the Bhagavad Gita. Left: The Puranas include numerous legends of Krishna as a child, a teenager and as an adult. Right: The Krishna stories have inspired numerous dramatic and dance arts in Indian culture. The Puranas are an important source of entertaining narratives and folk mythology, states Mahony, that are embedded with "philosophical, theological and mystical modes of experience and expression" as well as reflective "moral and soteriological instructions". More broadly, the Puranic literature is encyclopedic, and it includes diverse topics such as cosmogony, cosmology, genealogies of gods, goddesses, kings, heroes, sages, and demigods, folk tales, travel guides and pilgrimages, temples, medicine, astronomy, grammar, mineralogy, humor, love stories, as well as theology and philosophy. The Puranas were a living genre of texts because they were routinely revised, their content is highly inconsistent across the Puranas, and each Purana has survived in numerous manuscripts which are themselves inconsistent. The Hindu Puranas are anonymous texts and likely the work of many authors over the centuries. Of the 18 Mahapuranas (great Puranas), many have titles based on one of the avatars of Vishnu. However, quite many of these are actually, in large part, Shiva-related Puranas, likely because these texts were revised over their history. Some were revised into Vaishnava treatises, such as the Brahma Vaivarta Purana, which originated as a Puranic text dedicated to the Surya (Sun god). Textual cross referencing evidence suggests that in or after 15th/16th century CE, it went through a series of major revisions, and almost all extant manuscripts of Brahma Vaivarta Purana are now Vaishnava (Krishna) bhakti oriented. Of the extant manuscripts, the main Vaishnava Puranas are Bhagavata Purana, Vishnu Purana, Nāradeya Purana, Garuda Purana, Vayu Purana and Varaha Purana. The Brahmanda Purana is notable for the Adhyatma-ramayana, a Rama-focussed embedded text in it, which philosophically attempts to synthesize Bhakti in god Rama with Shaktism and Advaita Vedanta. While an avatar of Vishnu is the main focus of the Puranas of Vaishnavism, these texts also include chapters that revere Shiva, Shakti (goddess power), Brahma and a pantheon of Hindu deities. The philosophy and teachings of the Vaishnava Puranas are bhakti oriented (often Krishna, but Rama features in some), but they show an absence of a "narrow, sectarian spirit". To its bhakti ideas, these texts show a synthesis of Samkhya, Yoga and Advaita Vedanta ideas. In Gaudiya Vaishnava, Vallabha Sampradaya and Nimbarka sampradaya, Krishna is believed to be a transcendent, Supreme Being and source of all avatars in the Bhagavata Purana. The text describes modes of loving devotion to Krishna, wherein his devotees constantly think about him, feel grief and longing when Krishna is called away on a heroic mission. Jiva Gosvami's Bhajan Kutir at Radha-kunda. Jiva Goswamis Sandarbhas summarize Vedic sources of Gaudiya Vaishnava tradition's accretion of the concept Krishna to be the supreme Lord. The Chaitanya movement has the following texts. Chaitanya Vaishnava traditions refer to the writings of previous acharyas in their respective lineage or sampradya as authoritative interpretations of scripture. While many schools like Smartism and Advaitism encourage interpretation of scriptures philosophically and metaphorically and not too literally, Chaitanya Vaishnavism stresses the literal meaning (mukhya vṛitti) as primary and indirect meaning (gauṇa vṛitti) as secondary: sākṣhād upadesas tu shrutih - "The instructions of the shruti-shāstra should be accepted literally, without fanciful or allegorical interpretations." 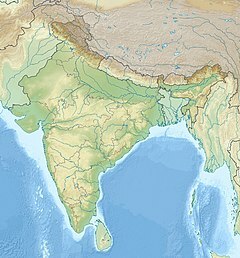 The Bhakti movement originated among Vaishnavas of South India during the 7th-century CE, spread northwards from Tamil Nadu through Karnataka and Maharashtra towards the end of 13th-century, and gained wide acceptance by the fifteenth-century throughout India during an era of political uncertainty and Hindu-Islam conflicts. The Alvars, which literally means "those immersed in God", were Vaishnava poet-saints who sang praises of Vishnu as they travelled from one place to another. They established temple sites such as Srirangam, and spread ideas about Vaishnavism. Their poems, compiled as Divya Prabhandham, developed into an influential scripture for the Vaishnavas. The Bhagavata Purana's references to the South Indian Alvar saints, along with its emphasis on bhakti, have led many scholars to give it South Indian origins, though some scholars question whether this evidence excludes the possibility that bhakti movement had parallel developments in other parts of India. Vaishnava bhakti practices involve loving devotion to a Vishnu avatar (often Krishna), an emotional connection, a longing and continuous feeling of presence. All aspects of life and living is not only a divine order but divinity itself in Vaishnava bhakti. Community practices such as singing songs together (kirtan or bhajan), praising or ecstatically celebrating the presence of god together, usually inside temples, but sometimes in open public are part of varying Vaishnava practices. These help Vaishnavas socialize and form a community identity. Left: A Vaishnava Hindu with Tilaka (Urdhva Pundra). Vaishnavas mark their foreheads with tilaka made up of Chandana, either as a daily ritual, or on special occasions. The different Vaishnava sampradayas each have their own distinctive style of tilaka, which depicts the siddhanta of their particular lineage. The general tilaka pattern is of a parabolic shape resembling the letter U or two or more connected vertical lines on and another optional line on the nose resembling the letter Y, which usually represents the foot of Vishnu and the centre vertical line symbolizing his manhood. Alternate interpretations suggest that the symbol is representation of male and female parts in union. Major pilgrimage and temple sites in Vaishnavism. Orange markers are UNESCO world heritage sites. In tantric traditions of Vaishnavism, during the initiation (diksha) given by a guru under whom they are trained to understand Vaishnava practices, the initiates accept Vishnu as supreme. At the time of initiation, the disciple is traditionally given a specific mantra, which the disciple will repeat, either out loud or within the mind, as an act of worship to Vishnu or one of his avatars. The practice of repetitive prayer is known as japa. In the Gaudiya Vaishnava group, one who performs an act of worship with the name of Vishnu or Krishna can be considered a Vaishnava by practice, "Who chants the holy name of Krishna just once may be considered a Vaishnava." Important sites of pilgrimage for Vaishnavas include Guruvayur Temple, Srirangam, Vrindavan, Mathura, Ayodhya, Tirupati, Pandharpur (Vitthal), Puri (Jaggannath), Nira Narsingpur (Narasimha), Mayapur, Nathdwara, Dwarka Udipi (Karnataka)and Muktinath. On the other hand, Goloka is considered the eternal abode of Krishna, Svayam bhagavan according to some Vaishnava schools, including Gaudiya Vaishnavism and the Swaminarayan Sampraday. The scriptural basis for this is taken in Brahma Samhita and Bhagavata Purana. The Vaishnavism traditions may be grouped within four sampradayas, each exemplified by a specific Vedic personality. They have been associated with a specific founder, providing the following scheme: Brahma Sampradaya (Madhvacharya), Sri Sampradaya (Ramanuja), Rudra Sampradaya (Vishnuswami, Vallabhacharya), Kumaras sampradaya (Nimbarka). [note 4] These four sampradayas emerged in early centuries of the 2nd millennium CE, by the 14th century, influencing and sanctioning the Bhakti movement. The philosophical systems of Vaishnava sampradayas range from theistic Dvaita of Madhvacharya, to qualified monistic Vishishtadvaita of Ramanuja, to pure nondualistic Shuddhadvaita of Vallabhacharya. They all revere an avatar of Vishnu, but have varying theories on the relationship between the soul (jiva) and Brahman, on the nature of changing and unchanging reality, methods of worship, as well as on spiritual liberation for the householder stage of life versus sannyasa (renunciation) stage. Beyond the four major sampradayas, the situation is more complicated, with the Vaikhanasas being much older than those four sampradayas, and a number of additional traditions and sects which originated later, or aligned themselves with one of those four sampradayas. [web 1] Krishna sampradayas continued to be founded late into late medieval and during the Mughal Empire era, such as the Radhavallabha, Haridasi, Gaudiya and others. The Bhagavats were the early worshippers of Krishna, the followers of Bhagavat, the Lord, in the person of Krishna, Vasudeva, Vishnu or Bhagavan. The term bhagavata may have denoted a general religious tradition or attitude of theistic worship which prevailed until the 11th century, and not a specific sect, and is best known as a designation for Vishnu-devotees. The earliest scriptural evidence of Vaishnava bhagavats is an inscription from 115 BCE, in which Heliodoros, ambassador of the Greco-Bactrian king Amtalikita, says that he is a bhagavata of Vasudeva. It was supported by the Guptas, suggesting a widespread appeal, in contrast to specific sects. Heliodorus pillar in Vidisha, India. The Pāñcarātra is the tradition of Narayana-worship. The term pāñcarātra means "five nights," from pañca, "five,"and rātra, "nights," and may be derived from the "five night sacrifice" as described in the Satapatha Brahmana, which narrates how Purusa-Narayana intends to become the highest being by performing a sacrifice which lasts five nights. The Narayaniya section of the Mahabharata describes the ideas of the Pāñcarātras. Characteristic is the description of the manifestation of the Absolute through a series of manifestations, from the vyuha manifestations of Vasudeva and pure creation, through the tattvas of mixed creation into impure or material creation. The Pāñcarātra Samhitas developed from the 7th or 8th century onward, and belongs to Agamic or Tantras, setting them at odds with vedic orthodoxy. Vishnu worshipers in south India still follow the system of Pancharatra worship as described in these texts. Although the Pāñcarātra originated in north India, it had a strong influence on south India, where it is closely related with the Sri Vaishnava tradition. According to Welbon, "Pāñcarātra cosmological and ritual theory and practice combine with the unique vernacular devotional poetry of the Alvars, and Ramanuja, founder of the Sri Vaishnava tradition, propagated Pāñcarātra ideas." Ramananda was also influenced by Pāñcar��tra ideas through the influence of Sri Vaishnavism, whereby Pāñcarātra re-entered north India. Vaikhanasas have their own foundational text, the Vaikhanasasmarta Sutra, which describes a mixture of Vedic and non-Vedic ritual worship. The Vaikhanasas became chief priests in a lot of south Indian temples, where they still remain influential. The Smarta tradition developed during the (early) Classical Period of Hinduism around the beginning of the Common Era, when Hinduism emerged from the interaction between Brahmanism and local traditions. According to Flood, Smartism developed and expanded with the Puranas genre of literature. By the time of Adi Shankara, it had developed the pancayatanapuja, the worship of five shrines with five deities, all treated as equal, namely Vishnu, Shiva, Ganesha, Surya and Devi (Shakti), "as a solution to varied and conflicting devotional practices." The Alvars, "those immersed in god," were twelve Tamil poet-saints of South India who espoused bhakti (devotion) to the Hindu god Vishnu or his avatar Krishna in their songs of longing, ecstasy and service. The Alvars appeared between the 5th century to the 10th century CE, though the Vaishnava tradition regards the Alvars to have lived between 4200 BCE - 2700 BCE. The devotional writings of Alvars, composed during the early medieval period of Tamil history, are key texts in the bhakti movement. They praised the Divya Desams, 108 "abodes" (temples) of the Vaishnava deities. The collection of their hymns is known as Divya Prabandha. Their Bhakti-poems has contributed to the establishment and sustenance of a culture that opposed the ritual-oriented Vedic religion and rooted itself in devotion as the only path for salvation. Gavin Flood mentions five most important contemporary Vaisnava orders. The most striking difference between Srivaishnavas and other Vaishnava groups lies in their interpretation of Vedas. While other Vaishnava groups interpret Vedic deities like Indra, Savitar, Bhaga, Rudra, etc. to be same as their Puranic counterparts, Srivaishnavas consider these to be different names/roles/forms of Lord Narayan citing solid reasons thus claiming that the entire Veda is dedicated for Vishnu worship alone. Srivaishnavas have remodelled Pancharatra homas like Sudarshana homa, etc. to include Vedic Suktas like Rudram in them, thus giving them a Vedic outlook. Sri Vaishnavism developed in Tamil Nadu in the 10th century. It incorporated two different traditions, namely the tantric Pancaratra tradition and the puranic Vishnu worship of northern India with their abstract Vedantic theology, and the southern bhakti tradition of the Alvars of Tamil Nadu with their personal devotion. The tradition was founded by Nathamuni (10th century), who along with Yamunacharya, combined the two traditions and gave the tradition legitimacy by drawing on the Alvars. Its most influential leader was Ramanuja (1017-1137), who developed the Visistadvaita ("qualified non-dualism") philosophy. Ramanuja challenged the then dominant Advaita Vedanta interpretation of the Upanishads and Vedas, by formulating the Vishishtadvaita philosophy foundations for Sri Vaishnavism from Vedanta. Sri Vaishnava includes the ritual and temple life in the tantra traditions of Pancaratra, emotional devotionalism to Vishnu, contemplative form bhakti, in the context of householder social and religious duties. The tantric rituals, refers to techniques and texts recited during worship, and these include Sanskrit and Tamil texts in South Indian Sri Vaishnava tradition. According to Sri Vaishnavism theology, moksha can be reached by devotion and service to the Lord and detachment from the world. When moksha is reached, the cycle of reincarnation is broken and the soul is united with Vishnu after death, though maintaining their distinctions, in vaikuntha, Vishnu's heaven. Moksha can also be reached by total surrender and saranagati, an act of grace by the Lord. Ramanuja's Sri Vaishnavism subscribes to videhamukti (liberation in afterlife), in contrast to jivanmukti (liberation in this life) found in other traditions within Hinduism, such as the Smarta and Shaiva traditions. Two hundred years after Ramanuja, the Sri Vaishnava tradition split into the Vadakalai ("northern culture") and Tenkalai ("southern culture"). The Vatakalai relied stronger on the Sanskrit scriptures, and emphasized bhakti by devotion to temple-icons, while the Tenkalai relied more on the Tamil heritage and total surrender. Gaudiya Vaishnavism, also known as Chaitanya Vaishnavism and Hare Krishna, was founded by Chaitanya Mahaprabhu (1486–1534) in India. "Gaudiya" refers to the Gauḍa region (present day Bengal/Bangladesh) with Vaishnavism meaning "the worship of Vishnu or Krishna". Its philosophical basis is primarily that of the Bhagavad Gita and Bhagavata Purana. The focus of Gaudiya Vaishnavism is the devotional worship (bhakti) of Radha and Krishna, and their many divine incarnations as the supreme forms of God, Svayam Bhagavan. Most popularly, this worship takes the form of singing Radha and Krishna's holy names, such as "Hare", "Krishna" and "Rama", most commonly in the form of the Hare Krishna (mantra), also known as kirtan. It sees the many forms of Vishnu or Krishna as expansions or incarnations of the one Supreme God, adipurusha. After its decline in the 18-19th century, it was revived in the beginning of the 20th century due to the efforts of Bhaktivinoda Thakur. His son Srila Bhaktisiddhanta Sarasvati Thakura founded sixty-four Gaudiya Matha monasteries in India, Burma and Europe. Thakura's disciple Srila Prabhupada went to the west and spread Gaudiya Vaishnavism by the International Society for Krishna Consciousness (ISKCON). The Varkari-tradition is a non-Brahamanical tradition which worships Vithoba, also known as Vitthal, who is regarded as a form of Vishnu or Krishna. Vithoba is often depicted as a dark young boy, standing arms akimbo on a brick, sometimes accompanied by his main consort Rakhumai. The Varkari-tradition is geographically associated with the Indian states of Maharashtra and northern Karnataka. The Varkari movement includes a duty-based approach towards life, emphasizing moral behavior and strict avoidance of alcohol and tobacco, the adoption of a strict lacto-vegetarian diet and fasting on Ekadashi day (twice a month), self-restraint (brahmacharya) during student life, equality and humanity for all rejecting discrimination based on the caste system or wealth, the reading of Hindu texts, the recitation of the Haripath every day and the regular practice of bhajan and kirtan. The most important festivals of Vithoba are held on the eleventh (ekadashi) day of the lunar months" Shayani Ekadashi in the month of Ashadha, and Prabodhini Ekadashi in the month of Kartik. The Varkari poet-saints are known for their devotional lyrics, the abhang, dedicated to Vithoba and composed in Marathi. Other devotional literature includes the Kannada hymns of the Haridasa, and Marathi versions of the generic aarti songs associated with rituals of offering light to the deity. Notable saints and gurus of the Varkaris include Jñāneśvar, Namdev, Chokhamela, Eknath, and Tukaram, all of whom are accorded the title of Sant. Though the origins of both his cult and his main temple are debated, there is clear evidence that they already existed by the 13th century. Various Indologists have proposed a prehistory for Vithoba worship where he was previously a hero stone, a pastoral deity, a manifestation of Shiva, a Jain saint, or even all of these at various times for various devotees. 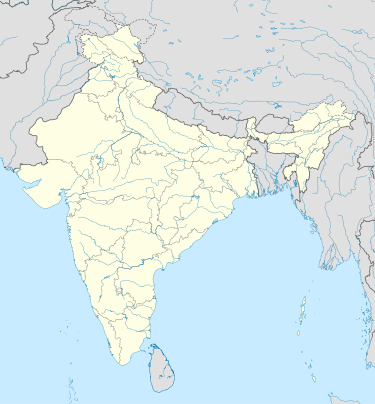 The Ramanandi Sampradaya, also known as the Ramayats or the Ramavats, is one of the largest and most egalitarian Hindu sects India, around the Ganges Plain, and Nepal today. It mainly emphasizes the worship of Rama, as well as Vishnu directly and other incarnations. Most Ramanandis consider themselves to be the followers of Ramananda, a Vaishnava saint in medieval India. Philosophically, they are in the Vishishtadvaita (IAST Viśiṣṭādvaita) tradition. Its ascetic wing constitutes the largest Vaishnava monastic order and may possibly be the largest monastic order in all of India. Rāmānandī ascetics rely upon meditation and strict ascetic practices, but also believe that the grace of god is required for them to achieve liberation. Kabir was a 15th-century Indian mystic poet and saint, whose writings influenced the Bhakti movement, but whose verses are also found in Sikhism's scripture Adi Granth. His early life was in a Muslim family, but he was strongly influenced by his teacher, the Hindu bhakti leader Ramananda. Some scholars state Kabir's ideas were one of the many influences on Guru Nanak, who went on to found Sikhism in the fifteenth century. Other Sikh scholars disagree, stating there are differences between the views and practices of Kabir and Nanak. Harpreet Singh, quoting Hew McLeod, states, "In its earliest stage Sikhism was clearly a movement within the Hindu tradition; Nanak was raised a Hindu and eventually belonged to the Sant tradition of northern India, a movement associated with the great poet and mystic Kabir." Surjit Singh Gandhi[better source needed] disagrees, and writes "Guru Nanak in his thought pattern as well as in action model was fundamentally different from Kabir and for that matter other radical Bhaktas or saints (saint has been erroneously used for such Bhaktas by Mcleod). Hence to consider Kabir as an influence on Guru Nanak is wrong, both historically and theologically". McLeod places Nanak in the Sant tradition that included Kabir, and states that their fundamental doctrines were reproduced by Nanak. JS Grewal contests this view and states that McLeod's approach is limiting in its scope because, "McLeod takes into account only concepts, ignores practices altogether, he concentrates on similarities and ignores all differences". The Vaishnavism sampradayas subscribe to various philosophies, are similar in some aspects and differ in others. When compared with Shaivism, Shaktism and Smartism, a similar range of similarities and differences emerge. There is no data available on demographic history or trends for Vaishnavism or other traditions within Hinduism. Estimates vary on the relative number of adherents in Vaishnavism compared to other traditions of Hinduism. Website Adherents.com gives numbers as of year 1999.Klaus Klostermaier and other scholars estimate Vaishnavism to be the largest. According to a 2010 estimate by Johnson and Grim, the Vaishnavism tradition is the largest group with about 641 million or 67.6% of Hindus. In contrast, Jones and Ryan estimate Vaishnavism to have perhaps 200 million followers, and it being the second largest tradition of Hinduism after Shaivism. The denominations of Hinduism, states Julius Lipner, are unlike those found in major religions of the world, because Hindu denominations are fuzzy, individuals revere gods and goddesses polycentrically, with many Vaishnava adherents recognizing Sri (Lakshmi), Shiva, Parvati and others reverentially on festivals and other occasions. Similarly, Shaiva, Shakta and Smarta Hindus revere Vishnu. Vaishnavism is one of the major traditions within Hinduism. Large Vaishnava communities exist throughout India, and particularly in Western Indian states, such as western Madhya Pradesh, Rajasthan, Maharashtra and Gujarat. Other major regions of Vaishnava presence, particularly after the 15th century, are Odisha, Bengal and northeastern India (Assam, Manipur). Dvaita school Vaishnava have flourished in Karnataka where Madhavacharya established temples and monasteries, and in neighboring states, particularly the Pandharpur region. Krishnaism has a limited following outside of India, especially associated with 1960s counter-culture, including a number of celebrity followers, such as George Harrison, due to its promulgation throughout the world by the founder-acharya of the International Society for Krishna Consciousness (ISKCON) A.C. Bhaktivedanta Swami Prabhupada. Vaishnava theology has been a subject of study and debate for many devotees, philosophers and scholars within India for centuries. Vaishnavism has its own academic wing in University of Madras - Department of Vaishnavism. In recent decades this study has also been pursued in a number of academic institutions in Europe, such as the Oxford Centre for Hindu Studies, Bhaktivedanta College, and Syanandura Vaishnava Sabha, a moderate and progressive Vaishnava body headed by Gautham Padmanabhan in Trivandrum which intends to bring about a single and precise book called Hari-grantha to include all Vaishnava philosophies. ^ a b Klostermaier: "Present day Krishna worship is an amalgam of various elements. According to historical testimonies Krishna-Vasudeva worship already flourished in and around Mathura several centuries before Christ. A second important element is the sect of Krishna Govinda. Still later is the worship of Bala-Krishna, the Divine Child Krishna - a quite prominent feature of modern Krishnaism. The last element seems to have been Krishna Gopijanavallabha, Krishna the lover of the Gopis, among whom Radha occupies a special position. In some books Krishna is presented as the founder and first teacher of the Bhagavata religion." ^ Friedhelm Hardy in his "Viraha-bhakti" analyses the history of Krishnaism, specifically all pre-11th-century sources starting with the stories of Krishna and the gopi, and Mayon mysticism of the Vaishnava Tamil saints, Sangam Tamil literature and Alvars' Krishna-centered devotion in the rasa of the emotional union and the dating and history of the Bhagavata Purana. ^ Klostermaier: "Bhagavad Gita and the Bhagavata Purana, certainly the most popular religious books in the whole of India. Not only was Krsnaism influenced by the identification of Krsna with Vishnu, but also Vaishnavism as a whole was partly transformed and reinvented in the light of the popular and powerful Krishna religion. Bhagavatism may have brought an element of cosmic religion into Krishna worship; Krishna has certainly brought a strongly human element into Bhagavatism [...] The center of Krishna-worship has been for a long time Brajbhumi, the district of Mathura that embraces also Vrindavana, Govardhana, and Gokula, associated with Krishna from time immemorial. Many millions of Krishna bhaktas visit these places ever year and participate in the numerous festivals that reenact scenes from Krshna's life on Earth." (b) Federico Squarcini traces the semantic history of the word sampradaya, calling it a tradition, and adds, "Besides its employment in the ancient Buddhist literature, the term sampradaya circulated widely in Brahamanic circles, as it became the most common word designating a specific religious tradition or denomination". ^ Stephen Knapp: "Actually there is some confusion about him, as it seems there have been three Vishnu Svamis: Adi Vishnu Svami (around the 3rd century BCE, who introduced the traditional 108 categories of sannyasa), Raja Gopala Vishnu Svami (8th or 9th century CE), and Andhra Vishnu Svami (14th century)." ^ Gavin Flood notes that Jñāneśvar is sometimes regarded as the founder of the Varkari sect, but that Vithoba-worship predates him. ^ See also Shri Krishna Pranami. Gandhi's mother belonged to the Pranami tradition. ^ Hiltebeitel: "Practically, Adi Shankara Acharya fostered a rapprochement between Advaita and smarta orthodoxy, which by his time had not only continued to defend the varnasramadharma theory as defining the path of karman, but had developed the practice of pancayatanapuja ("five-shrine worship") as a solution to varied and conflicting devotional practices. Thus one could worship any one of five deities (Vishnu, Siva, Durga, Surya, Ganesa) as one's istadevata ("deity of choice")." ^ Vishnu is regionally called by other names, such as Ranganatha at Srirangam temple in Tamil Nadu. ^ Pratapaditya Pal (1986). Indian Sculpture: Circa 500 BCE- 700 CE. University of California Press. pp. 24–25. ISBN 978-0-520-05991-7. ^ Stephan Schuhmacher (1994). The Encyclopedia of Eastern Philosophy and Religion: Buddhism, Hinduism, Taoism, Zen. Shambhala. p. 397. ISBN 978-0-87773-980-7. ^ Matchett 2001, pp. 3-9. ^ a b Anna King 2005, pp. 32–33. ^ Avinash Patra 2011, pp. 12–16, 25. ^ a b G. Widengren (1997). Historia Religionum: Handbook for the History of Religions - Religions of the Present. Boston: Brill Academic Publishers. p. 270. ISBN 978-90-04-02598-1. ^ a b Beck 2012, pp. 76-77. ^ a b Jeaneane D. Fowler 2002, pp. 288–304, 340–350. ^ John Stratton Hawley (2015). A Storm of Songs. Harvard University Press. pp. 10–12, 33–34. ISBN 978-0-674-18746-7. ^ a b c Flood 1996, p. 121-122. ^ a b c F Otto Schrader (1973). Introduction to the Pāñcarātra and the Ahirbudhnya Saṃhitā. Adyar Library and Research Centre. pp. 2���21. ISBN 978-0-8356-7277-1. ^ Johnson, Todd M; Grim, Brian J (2013). The World's Religions in Figures: An Introduction to International Religious Demography. John Wiley & Sons. p. 400. ISBN 9781118323038. ^ a b c d e Klostermaier 2007. ^ F. R. Allchin; George Erdosy (1995). The Archaeology of Early Historic South Asia: The Emergence of Cities and States. Cambridge University Press. pp. 303–304. ISBN 978-0-521-37695-2. ^ Radhakumud Mookerji (1959). The Gupta Empire. Motilal Banarsidass. p. 3. ISBN 978-81-208-0440-1. ^ a b c "Vaishnava". philtar.ucsm.ac.uk. Archived from the original on 5 February 2012. Retrieved 22 May 2008. ^ Dandekar 1977, p. 9498. ^ a b Benjamín Preciado-Solís (1984). The Kṛṣṇa Cycle in the Purāṇas: Themes and Motifs in a Heroic Saga. Motilal Banarsidass. pp. 1–16. ISBN 978-0-89581-226-1. ^ William K. Mahony (1998). The Artful Universe: An Introduction to the Vedic Religious Imagination. State University of New York Press. pp. 13–14. ISBN 978-0-7914-3579-3. ^ Roshen Dalal (2010). The Religions of India: A Concise Guide to Nine Major Faiths. Penguin Books. pp. 54–55. ISBN 978-0-14-341517-6. ^ Benjamín Preciado-Solís (1984). The Krishna Cycle in the Purāṇas: Themes and Motifs in a Heroic Saga. Motilal Banarsidass. pp. 6–16. ISBN 978-0-89581-226-1. ^ a b c d e f Dandekar 1977, p. 9499. ^ Flood 1996, p. 120. ^ Ramkrishna Gopal Bhandarkar, Ramchandra Narayan Dandekar (1976). Ramakrishna Gopal Bhandarkar as an Indologist: A Symposium. India: Bhandarkar Oriental Research Institute. pp. 38–40. ^ Gonda 1993, p. 163. ^ Klostermaier 2007, pp. 206-217, 251-252. ^ a b c d e f g h Dandekar 1977, p. 9500. ^ a b c Hardy, Friedhelm (2001). Viraha-Bhakti: The Early History of Krsna Devotion in South India (Oxford University South Asian Studies Series). Oxford University Press, USA. ISBN 978-0-19-564916-1. ^ "Book review - FRIEDHELM HARDY, Viraha Bhakti: The Early History of Krishna Devotion in South India. Oxford University Press, Nagaswamy 23 (4): 443 -- Indian Economic & Social History Review". ier.sagepub.com. Retrieved 2008-07-29. ^ a b MONIUS, Anne E.: Dance Before Doom. Krishna In The Non-Hindu Literature of Early Medieval South India. In: Beck, Guy L., ed. Alternative Krishnas. Regional and Vernacular Variations on a Hindu Deity. Albany: State University of New York Press 2005; Ch. 8. pp. 139-149. ^ a b "Devotion to Mal (Mayon)". philtar.ucsm.ac.uk. Archived from the original on 5 February 2012. Retrieved 22 May 2008. ^ Ganguli 1988, p. 36. ^ S. M. Srinivasa Chari (1988). Tattva-muktā-kalāpa. Motilal Banarsidass. pp. 2–5. ISBN 978-81-208-0266-7. ^ Klaus K. Klostermaier (1984). Mythologies and Philosophies of Salvation in the Theistic Traditions of India. Wilfrid Laurier University Press. pp. 101–103. ISBN 978-0-88920-158-3. ^ Bardwell L. Smith (1976). Hinduism: New Essays in the History of Religions. Brill Archive. pp. 143–156. ISBN 978-90-04-04495-1. ^ Schomer, Karine; McLeod, W. H., eds. (1987). The Sants: Studies in a Devotional Tradition of India. Motilal Banarsidass. pp. 1–5. ISBN 9788120802773. ^ Ravi Gupta; Kenneth Valpey (2013). The Bhagavata Purana: Sacred Text and Living Tradition. Columbia University Press. pp. 2–10. ISBN 978-0-231-14999-0. ^ C. J. Bartley (2013). The Theology of Ramanuja: Realism and Religion. Routledge. pp. 1–4, 52–53, 79. ISBN 978-1-136-85306-7. ^ a b Beck 2012, p. 6. ^ a b c d e C. J. Bartley (2013). The Theology of Ramanuja: Realism and Religion. Routledge. pp. 1–4. ISBN 978-1-136-85306-7. ^ Delmonico, Neal (April 4, 2004). "Caitanya Vais.n. avism and the Holy Names" (PDF). Bhajan Kutir. Retrieved 29 May 2017. ^ Selengut, Charles (1996). "Charisma and Religious Innovation:Prabhupada and the Founding of ISKCON". ISKCON Communications Journal. 4 (2). Archived from the original on 13 July 2011. ^ Herzig, T.; Valpey, K (2004). Re—visioning Iskcon. The Hare Krishna Movement: The Postcharismatic Fate of a Religious Transplant. ISBN 978-0-231-12256-6. Retrieved 2008-01-10. ^ Schweig 2013, p. 18. ^ Bryant 2007, pp. 360-361. ^ Harold Coward; Daniel C. Maguire (2000). Visions of a New Earth: Religious Perspectives on Population, Consumption, and Ecology. State University of New York Press. pp. 113–114. ISBN 978-0-7914-4457-3. ^ Julius Lipner (1986). The Face of Truth: A Study of Meaning and Metaphysics in the Vedantic Theology of Ramanuja. State University of New York Press. pp. 37–48. ISBN 978-0-88706-038-0. ^ Ursula King (2011). Teilhard De Chardin and Eastern Religions. New York: Paulist Press. pp. 267–268. ^ Schweig 2013, pp. 18-19. ^ Kinsley, David (2005). Lindsay Jones, ed. Gale's Encyclopedia of Religion. 2 (Second ed.). Thomson Gale. pp. 707–708. ISBN 978-0-02-865735-6. ^ a b c d Constance Jones; James D. Ryan (2006). Encyclopedia of Hinduism. Infobase. p. 474. ISBN 978-0-8160-7564-5. ^ a b Lochtefeld 2002, p. 228. ^ Wilson, Bill; McDowell, Josh (1993). The best of Josh McDowell: a ready defense. Nashville: T. Nelson. pp. 352–353. ISBN 978-0-8407-4419-7. ^ Schweig 2013, p. 17–19. ^ Latourette, Kenneth Scott (1961). "Review of India and Christendom: The Historical Connections between Their Religions". Pacific Affairs. 34 (3): 317–318. doi:10.2307/2753385. JSTOR 2753385. ^ Geoffrey Parrinder (1996). Sexual Morality in the World's Religion. Oneword. pp. 9–10. ISBN 978-1-85168-108-2. ^ "Chaitanya Charitamrita Madhya 20.165". Archived from the original on 17 September 2008. Retrieved 7 May 2008. ^ Richard Thompson; Ph. D. (December 1994). "Reflections on the Relation Between Religion and Modern Rationalism". —. Archived from the original on 4 January 2011. Retrieved 12 April 2008. ^ Mahony, W.K. (1987). "Perspectives on Krsna's Various Personalities". History of Religions. 26 (3): 333–335. doi:10.1086/463085. JSTOR 1062381. ^ Schweig 2005, p. 3. ^ Rosen 2002, p. 50. ^ Rosen 2002, p. 52. ^ Schwartz 2004, p. 49. ^ Schweig 2005, pp. 41–42. ^ Schweig 2005, p. 43. ^ a b c Matchett 2001, pp. 3-4. ^ Kinsley 2005, p. 15. ^ Bryant 2007, pp. 339-340. ^ Mircea Eliade; Charles J. Adams (1987). The Encyclopedia of Religion. 2. Macmillan. p. 14. ISBN 978-0-02-909710-6. ^ a b c Mariasusai Dhavamony (1999). Hindu Spirituality. Gregorian Press. pp. 32–34. ISBN 978-88-7652-818-7. ^ Ronald B. Inden (1990). Imagining India. Indiana University Press. pp. 109–115. ISBN 978-0-253-21358-7. ^ Jeaneane D. Fowler 2002, pp. 288-309. ^ Sanjukta Gupta (2013). Advaita Vedanta and Vaisnavism: The Philosophy of Madhusudana Sarasvati. Routledge. pp. 1–12. ISBN 978-1-134-15774-7. ^ Deussen, Paul (1997). Sixty Upanishads of the Veda, Volume 1. Motilal Banarsidass. p. 264. ISBN 978-8120814677. ; Note: This hymn appears in Śatapatha Brāhmaṇa as well. ^ Sanskrit original: Quote: दानं यज्ञानां वरूथं दक्षिणा लोके दातार | सर्वभूतान्युपजीवन्ति दानेनारातीरपानुदन्त दानेन | द्विषन्तो मित्रा भवन्ति दाने सर्वं प्रतिष्ठितं तस्माद्दानं परमं वदन्ति ॥ ६॥; Source: Hattangadi, Sunder (1999). "महानारायणोपनिषत् (Mahanarayana Upanishad)" (PDF) (in Sanskrit). Retrieved 23 January 2016. ^ a b Ayyangar, TRS (1941). The Vaisnavopanisads. Jain Publishing Co. (Reprint 2006). pp. i–vi, 1–11. ISBN 978-0895819864. ^ a b Dumont, PE (Translator) (1940). "The Avyakta Upaniṣad". Journal of the American Oriental Society. 60 (3): 338–355. ^ Bryant, Edwin, Maria Ekstrand (2013). The Hare Krishna Movement: The Postcharismatic Fate of a Religious Transplant. Columbia University Press. p. 42. ISBN 978-0-231-50843-8. ^ a b c d Deussen, Paul (1997). Sixty Upanishads of the Veda, Volume 1. Motilal Banarsidass Publishers. pp. 247–268 with footnotes. ISBN 978-8120814677. ^ a b Ayyangar, TRS (1941). The Vaisnavopanisads. Jain Publishing Co. (Reprint 2006). ISBN 978-0895819864. ^ a b Srinivasan, Doris (1997). Many Heads, Arms, and Eyes. BRILL Academic. pp. 112–120. ISBN 978-9004107588. ^ a b Lamb, Ramdas (2002). Rapt in the Name. SUNY Press. pp. 191–193. ISBN 978-0-7914-5386-5. ^ Catherine Ludvik (1994). Hanumān in the Rāmāyaṇa of Vālmīki and the Rāmacaritamānasa of Tulasī Dāsa. Motilal Banarsidass. pp. 10–13. ISBN 978-8120811225. ^ Deussen, Paul (1997). Sixty Upanishads of the Veda, Volume 2. Motilal Banarsidass Publishers. pp. 859–864, 879–884. ISBN 978-8120814677. ^ Bryant, Edwin Francis, Maria Ekstrand (2013). The Hare Krishna Movement: The Postcharismatic Fate of a Religious Transplant. Columbia University Press. pp. 35–45. ISBN 978-0-231-50843-8. ^ B. V. Tripurari (2004). Gopala-tapani Upanisad. Audarya. pp. xi–xiii, 3–11. ISBN 978-1-932771-12-1. ^ Ayyangar, TRS (1941). The Vaisnavopanisads. Jain Publishing Co. (Reprint 2006). pp. 22–31. ISBN 978-0895819864. ^ Jacob, George (1887). "The Vasudeva and Gopichandana Upanishads". The Indian Antiquary, A Journal of Oriental Research. XVI (March, Part CXCIV). ^ Rigopoulos, Antonio (1998). Dattatreya: The Immortal Guru, Yogin, and Avatara: A Study of the Transformative and Inclusive Character of a Multi-faceted Hindu Deity. State University of New York Press. pp. 64–77. ISBN 978-0-7914-3696-7. ^ Aiyar, Narayanasvami (1914). "Thirty minor Upanishads". Archive Organization. pp. 124–127. Retrieved 16 January 2016. ^ Deussen, Paul (1997). Sixty Upanishads of the Veda. Motilal Banarsidass. pp. 809–858. ISBN 978-81-208-1467-7. ^ a b c Flood 1996, pp. 124-128. ^ Richard H. Davis (2014). The "Bhagavad Gita": A Biography. Princeton University Press. pp. 4–8. ISBN 978-1-4008-5197-3. ^ E. Allen Richardson (2014). Seeing Krishna in America: The Hindu Bhakti Tradition of Vallabhacharya in India and Its Movement to the West. McFarland. pp. 5–6, 11–14, 134–145. ISBN 978-0-7864-5973-5. ^ Flood 1996, pp. 125-126. ^ a b c Francis Clooney & Tony Stewart 2004, p. 163. ^ Richard H. Davis (2014). The "Bhagavad Gita": A Biography. Princeton University Press. pp. 58–59, 170. ISBN 978-1-4008-5197-3. ^ Georg Feuerstein; Brenda Feuerstein (2011). The Bhagavad-Gita. Shambhala Publications. pp. 64–69. ISBN 978-1-59030-893-6. ^ Flood 1996, pp. 124-125. ^ a b c d e f g Flood 1996, p. 121. ^ Guy L. Beck (1995). Sonic Theology: Hinduism and Sacred Sound. Motilal Banarsidass. pp. 173–180. ISBN 978-81-208-1261-1. ^ a b F Otto Schrader (1973). Introduction to the Pāñcarātra and the Ahirbudhnya Saṃhitā. Adyar Library and Research Centre. pp. 31–49, 79–118. ISBN 978-0-8356-7277-1. ^ a b c d e f g Flood 1996, p. 122. ^ F Otto Schrader (1973). Introduction to the Pāñcarātra and the Ahirbudhnya Saṃhitā. Adyar Library and Research Centre. pp. 30, 150–157. ISBN 978-0-8356-7277-1. ^ a b Dennis Hudson (2012). Katherine Anne Harper; Robert L Brown, eds. The Roots of Tantra. State University of New York Press. pp. 133–156. ISBN 978-0-7914-8890-4. ^ a b c Flood 1996, p. 122-123. ^ Teun Goudriaan; Sanjukta Gupta (1981). Hindu Tantric and Śākta Literature. Otto Harrassowitz Verlag. pp. 105–111. ISBN 978-3-447-02091-6. ^ Harvey P. Alper (1989). Mantra. State University of New York Press. pp. 242–243. ISBN 978-0-88706-599-6. ^ S. M. Srinivasa Chari (1994). Vaiṣṇavism: Its Philosophy, Theology, and Religious Discipline. Motilal Banarsidass. pp. xxviii–xxxi. ISBN 978-81-208-1098-3. ^ Sanjukta Gupta (2000). Lakṣmī Tantra: A Pāñcarātra Text. Motilal Banarsidass. pp. xv–xix. ISBN 978-81-208-1735-7. ^ F Otto Schrader (1973). Introduction to the Pāñcarātra and the Ahirbudhnya Saṃhitā. Adyar Library and Research Centre. pp. 22–27, 112–114. ISBN 978-0-8356-7277-1. ^ J. Gordon Melton; Martin Baumann (2010). Religions of the World: A Comprehensive Encyclopedia of Beliefs and Practices, 2nd Edition. ABC-CLIO. pp. 1417–1418. ISBN 978-1-59884-204-3. ^ Alf Hiltebeitel (2011). Reading the Fifth Veda: Studies on the Mahābhārata. BRILL. pp. 59–60, 308. ISBN 978-90-04-18566-1. ^ Ramashraya Sharma (1986). A Socio-political Study of the Vālmīki Rāmāyaṇa. Motilal Banarsidass. pp. 149–150. ISBN 978-81-208-0078-6. ^ Ashok Banker (2011). Vengeance of Ravana: Book Seven of the Ramayana. Penguin. pp. 270–271. ISBN 978-0-14-306699-6. ^ Bryant 2007, pp. 113-115. ^ Bryant 2007, pp. 69 with note 150, 81-82, 95-98, 333-340. ^ Bryant 2007, pp. 77-94. ^ a b Mahony, William K. (1987). "Perspectives on Krsna's Various Personalities". History of Religions. 26 (3): 333–335. doi:10.1086/463085. JSTOR 1062381. ^ Ludo Rocher (1986), The Puranas, Otto Harrassowitz Verlag, ISBN 978-3447025225, pages 1-5, 12-21, 79-80, 96-98; Quote: "These are the true encyclopedic Puranas. in which detached chapters or sections, dealing with any imaginable subject, follow one another, without connection or transition." ^ Ariel Glucklich (2008). The Strides of Vishnu : Hindu Culture in Historical Perspective: Hindu Culture in Historical Perspective. Oxford University Press. p. 146. ISBN 978-0-19-971825-2. Quote: The earliest promotional works aimed at tourists from that era were called mahatmyas. ^ a b Dimmitt, Cornelia; van Buitenen, J. A. B. (2012). Classical Hindu Mythology: A Reader in the Sanskrit Puranas. Temple University Press (1st Edition: 1977). pp. 4–5. ISBN 978-1-4399-0464-0. ^ Ludo Rocher (1986), The Puranas, Otto Harrassowitz Verlag, ISBN 978-3447025225, pages=158-159 with footnotes, Quote: "Among the texts considered to be connected with the Brahmanda, the Adhyatma-ramayana is undoubtedly the most important one". ^ Winternitz, Maurice (1922). History of Indian Literature Vol 1 (Original in German, translated into English by VS Sarma, 1981). New Delhi: Motilal Banarsidass (Reprint 2010). p. 552. ISBN 978-8120802643. ^ Ramdas Lamb (1 February 2012). Rapt in the Name. State University of New York Press. pp. 29–30. ISBN 978-0-7914-8856-0. ^ Ludo Rocher (1986), The Puranas, Otto Harrassowitz Verlag, ISBN 978-3447025225, pages 104-106 with footnotes, Quote: "I want to stress the fact that it would be irresponsible and highly misleading to speak of or pretend to describe the religion of the Puranas." Brown, C. Mackenzie (1983). "The Origin and Transmission of the Two "Bhāgavata Purāṇas": A Canonical and Theological Dilemma". Journal of the American Academy of Religion. 51 (4): 551–567. JSTOR 1462581. ^ Dasgupta, Surendranath (1979). A history of Indian philosophy. IV: Indian pluralism. Cambridge University Press. p. 49. ^ Sheridan, Daniel (1986). The Advaitic Theism of the Bhāgavata Purāṇa. South Asia Books. pp. 1–2, 17–25. ISBN 978-81-208-0179-0. ^ Matchett 2000, 10th canto transl..
^ Gupta, Ravi M. (2007). Caitanya Vaisnava Vedanta of Jiva Gosvami. Routledge. ISBN 978-0-415-40548-5. ^ Bardwell L. Smith (1976). Hinduism: New Essays in the History of Religions. Brill Academic. pp. 143–144. ISBN 978-90-04-04495-1. ^ Bardwell L. Smith (1976). Hinduism: New Essays in the History of Religions. Brill Academic. pp. 154–155. ISBN 978-90-04-04495-1. ^ Schomer, Karine; McLeod, W. H., eds. (1987). The Sants: Studies in a Devotional Tradition of India. Motilal Banarsidass. pp. 1–3. ISBN 9788120802773. ^ a b Flood 1996, p. 131. ^ Bardwell L. Smith (1976). Hinduism: New Essays in the History of Religions. Brill Archive. pp. 143–169. ISBN 978-90-04-04495-1. ^ Olson, Carl (2007). The many colors of Hinduism: a thematic-historical introduction. Rutgers University Press. p. 231. ISBN 978-0-8135-4068-9. ^ J. A. B. van Buitenen (1996). "The Archaism of the Bhāgavata Purāṇa". In S.S Shashi. Encyclopedia Indica. pp. 28–45. ISBN 978-81-7041-859-7. ^ Sheridan, Daniel (1986). The Advaitic Theism of the Bhagavata Purana. Columbia, Mo: South Asia Books. ISBN 978-81-208-0179-0. ^ Karen Pechilis Prentiss (2000). The Embodiment of Bhakti. Oxford University Press. pp. 17–24. ISBN 978-0-19-535190-3. ^ David N. Lorenzen. Bhakti Religion in North India: Community Identity and Political Action. State University of New York Press. pp. 23–24. ISBN 978-1-4384-1126-2. ^ David N. Lorenzen. Bhakti Religion in North India: Community Identity and Political Action. State University of New York Press. pp. 107–112. ISBN 978-1-4384-1126-2. ^ a b Klostermaier, Klaus K. (2000). Hinduism: A Short History. Oxford: Oneworld Publications. ISBN 978-1-85168-213-3. ^ a b Valpey, K.R. (2004). The Grammar and Poetics of Murti-Seva: Chaitanya Vaishnava Image Worship as Discourse, Ritual, and Narrative. University of Oxford. ^ SCHWEIG, G.M. (2005). Dance of divine love: The Rasa Lila of Krishna from the Bhagavata Purana, India's classic sacred love story. Princeton University Press, Princeton, New Jersey; Oxford. p. 10. ISBN 978-0-691-11446-0. ^ E. Allen Richardson (2014). Seeing Krishna in America: The Hindu Bhakti Tradition of Vallabhacharya in India and Its Movement to the West. McFarland. pp. 19–21. ISBN 978-0-7864-5973-5. ^ Federico Squarcini (2011). Boundaries, Dynamics and Construction of Traditions in South Asia. Anthem Press. pp. 20–27. ISBN 978-0-85728-430-3. ^ Beck 2012, pp. 74-77. ^ Flood 1996, p. 134-135. ^ a b c d e Flood 1996, p. 123. ^ a b Flood 1996, p. 135. ^ Beck 2012, pp. 70-79. ^ a b Flood 1996, p. 136. ^ Lochtefeld 2002, p. 143. ^ Flood 1996, p. 143. ^ Śrivastava 1981, p. 394. ^ a b Flood 1996, p. 123-124. ^ a b Welbon 2005a, p. 9501. ^ Welbon 2005a, p. 9502. ^ Jones & Ryan 2007, p. 321-322. ^ N.N.1 1940, p. 7. ^ a b c Welbon 2005b, p. 9509. ^ Gonda, Jan (1977). "Religious Thought and Practice in Vaikhānasa Viṣṇuism". Bulletin of the School of Oriental and African Studies. 40 (3): 550–571. JSTOR 616501. ^ a b c d e Hiltebeitel 2013. ^ a b Flood 1996, p. 113. ^ Doniger 1999, p. 1017. ^ Popular Prakashan 2000, p. 52. ^ Andrea Nippard. "The Alvars" (PDF). Archived from the original (PDF) on 3 December 2013. Retrieved 20 April 2013. ^ "Indian Literature Through the Ages". Indian literature, Govt of India. Archived from the original on 15 May 2013. Retrieved 20 April 2013. ^ "About Alvars". divyadesamonline.com. Archived from the original on 2007-06-21. Retrieved 2007-07-02. ^ a b Flood 1996, p. 137-138. ^ a b Constance Jones; James D. Ryan (2006). Encyclopedia of Hinduism. Infobase. p. 352. ISBN 978-0-8160-7564-5. ^ a b Flood 1996, p. 135-136. ^ Flood 1996, pp. 133, 136. ^ Flood 1996, p. 136-137. ^ a b Flood 1996, p. 137. ^ a b Kim Skoog (1996). Andrew O. Fort; Patricia Y. Mumme, eds. Living Liberation in Hindu Thought. SUNY Press. pp. 63–84, 236–239. ISBN 978-0-7914-2706-4. ^ Hindu Encounter with Modernity, by Shukavak N. Dasa Archived 11 May 2008 at the Wayback Machine "
^ Zelliot (1988) p. xviii "Varkari cult is rural and non-Brahman in character"
^ Sand (1990) p. 34 "the more or less anti-ritualistic and anti-brahmanical attitudes of Varkari sampradaya." ^ a b c Michaels 2004, p. 254. ^ Burghart 1983, p. 362. ^ Tattwananda 1984, p. 10. ^ Raj & Harman 2007, p. 165. ^ a b Hugh Tinker (1990). South Asia: A Short History. University of Hawaii Press. pp. 75–77. ISBN 978-0-8248-1287-4. Retrieved 12 July 2012. ^ a b Gandhi, Surjit Singh (2008). History of Sikh Gurus Retold: 1469-1606 C.E. English: Atlantic Publishers & Distributors Pvt Ltd. pp. 174 to 176. ISBN 978-8126908578. ASIN 8126908572. ^ Nikky-Guninder Kaur Singh (24 Sep 1993). The Feminine Principle in the Sikh Vision of the Transcendent. English: Cambridge University Press. pp. 114–116. ISBN 978-0521432870. ASIN 0521432871. ^ a b c d e Jan Gonda (1970). Visnuism and Sivaism: A Comparison. Bloomsbury Academic. ISBN 978-1-4742-8080-8. ^ Mariasusai Dhavamony (2002). Hindu-Christian Dialogue: Theological Soundings and Perspectives. Rodopi. p. 63. ISBN 978-90-420-1510-4. ^ Frazier, J. (2013). "Bhakti in Hindu Cultures". The Journal of Hindu Studies. 6 (2): 101–113. doi:10.1093/jhs/hit028. ^ Matthew James Clark (2006). The Daśanāmī-saṃnyāsīs: The Integration of Ascetic Lineages Into an Order. Brill. pp. 177���225. ISBN 978-90-04-15211-3. ^ L. Dankworth; A. David (2014). Dance Ethnography and Global Perspectives: Identity, Embodiment and Culture. Springer. p. 33. ISBN 978-1-137-00944-9. , Quote: "Klostermaier 1998, p.196 Vaishnavite - devotees of the deity Vishnu, and the largest, numerically, part of mainstream Hinduism, which is divided up into several sects." ^ Steven Rosen (2006). Essential Hinduism. Greenwood. p. xvi. ISBN 978-0-275-99006-0. ^ Gavin Flood (2008). The Blackwell Companion to Hinduism. John Wiley & Sons. pp. 200–203. ISBN 978-0-470-99868-7. ^ Férdia J. Stone-Davis (2016). Music and Transcendence. Routledge. p. 23. ISBN 978-1-317-09223-0. ^ David Gordon White (2001). Tantra in Practice. Motilal Banarsidass. pp. 308–311. ISBN 978-81-208-1778-4. ^ B. N. Krishnamurti Sharma (2000). A History of the Dvaita School of Vedānta and Its Literature: From the Earliest Beginnings to Our Own Times. Motilal Banarsidass. pp. 514–521. ISBN 978-81-208-1575-9. ^ RIDENOUR, Fritz (2001). So What's the Difference?. Gospel Light Publications. pp. 180–181. ISBN 978-0-8307-1898-6. ^ Giuliano, Geoffrey (1997). Dark horse: the life and art of George Harrison. New York: Da Capo Press. p. 12. ISBN 978-0-306-80747-3. ^ Graham M. Schweig (2005). Dance of Divine Love: The Rڄasa Lڄilڄa of Krishna from the Bhڄagavata Purڄa. na, India's classic sacred love story. Princeton, N.J: Princeton University Press. pp. Front Matter. ISBN 978-0-691-11446-0. Brzezinski, J.K. (1992). "Prabodhananda, Hita Harivamsa and the Radharasasudhanidhi". Bulletin of the School of Oriental and African Studies, University of London. 55 (3): 472–497. doi:10.1017/S0041977X00003669. JSTOR 620194. Chatterjee, Asoke: Srimadbhagavata and Caitanya-Sampradaya. Journal of the Asiatic Society 37/4 (1995)1-14. Francis Clooney; Tony Stewart (2004). Sushil Mittal and Gene Thursby, ed. The Hindu World. Routledge. ISBN 978-1-134-60875-1. Clementin-Ojha, Catherine: La renaissance du Nimbarka Sampradaya au XVIe siècle. Contribution à l'étude d'une secte Krsnaïte. Journal asiatique 278 (1990) 327-376. Couture, André: The emergence of a group of four characters (Vasudeva, Samkarsana, Pradyumna, and Aniruddha) in the Harivamsa: points for consideration. Journal of Indian Philosophy 34,6 (2006) 571-585. Jeaneane D. Fowler (2002). Perspectives of Reality: An Introduction to the Philosophy of Hinduism. Sussex Academic Press. ISBN 978-1-898723-94-3. Guy, John: New evidence for the Jagannatha sect in seventeenth century Nepal. Journal of the Royal Asiatic Society [3rd Ser.] 2 (1992) 213-230. Hudson, D. (1993). "Vasudeva Krsna in Theology and Architecture: A Background to Srivaisnavism". Journal of Vaisnava Studies (2). Anna King (2005). The intimate other: love divine in Indic religions. Orient Blackswan. ISBN 978-81-250-2801-7. Kinsley, David (2005). Lindsay Jones, ed. Gale's Encyclopedia of Religion. 2 (Second ed.). Thomson Gale. ISBN 978-0-02-865735-6. Matchett, Freda (2001). Krishna, Lord or Avatara? : the relationship between Krishna and Vishnu. Routledge. ISBN 978-0700712816. Pauwels, Heidi: Paradise Found, Paradise Lost: Hariram Vyas's Love for Vrindaban and what Hagiographers made of it. In: Pilgrims, Patrons, and Place: Localizing Sanctity in Asian Religions. Ed. by Phyllis Granoff and Koichi Shinohara. (Asian Religions and Society Series). Vancouver, Toronto 2003; pp. 124–180. Wikimedia Commons has media related to Vaishnavism.